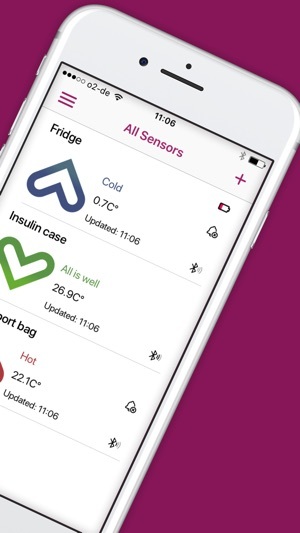 MedAngel helps you to keep insulin and other sensitive meds at the perfect temperature, so they’ll never freeze or spoil by accident. 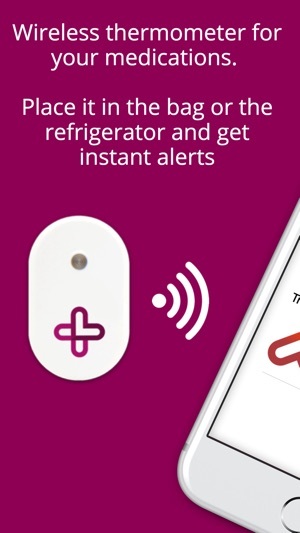 Simply keep a MedAngel ONE sensor with your medications, whether they’re at home in the fridge, or on the go in a cool bag or portable cooler. 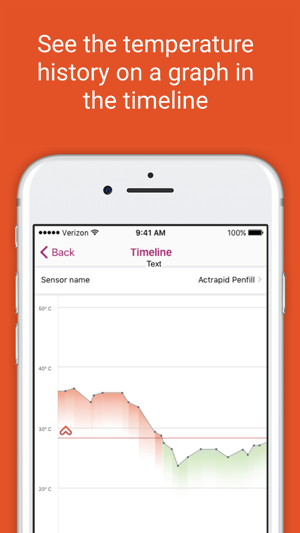 The MedAngel app continuously monitors the temperature and will alert you if things are getting too hot or cold and putting your meds at risk. To get started, simply purchase one or more sensors (available on our website or Amazon), connect them to the app, and select your prescribed medications from the list. 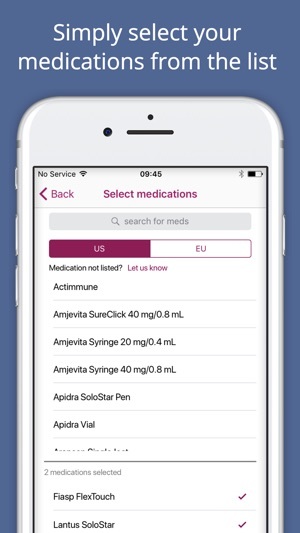 MedAngel ONE knows the safe range for almost all temperature sensitive medications available in the US and EU, including Humira, Enbrel, Cimzia, Orencia, EpiPen and more. Surprisingly simple, and powerfully effective. 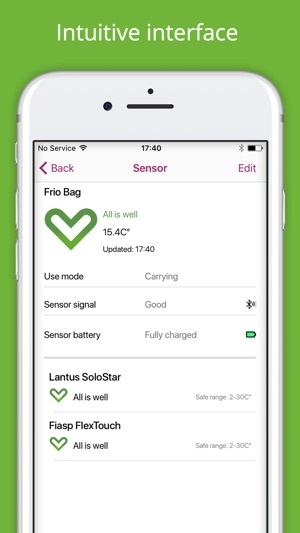 This is such a simple concept - a Bluetooth IoT temperature sensor and an app. I put the sensor in my fridge next to the insulin, and discovered within 24 hours that the fridge was too cold. I’m getting another one now to travel with the insulin out of the fridge and keep an eye on its temperature in the wild. The app is beautifully designed, and the packaging of the sensor is great - it even includes a battery removal tool and a battery. With MedAngel, we can now eliminate that as a factor. It has given us more sense of control of the situation. Thank you!!! © 2015-2018 Med Angel B.V.